Poland, 1835. 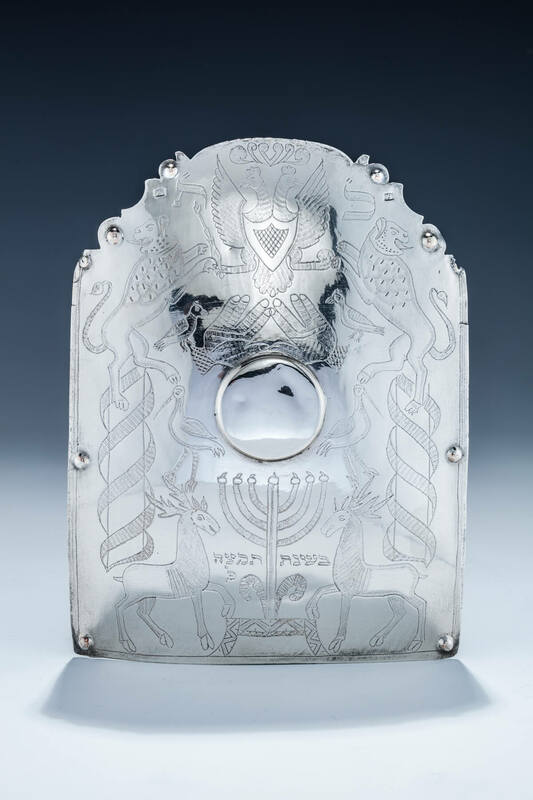 Engraved with two lions flanking a double headed eagle with spread wings. Further decorated with two stags surrounding a temple style menorah. Engraved with date of dedication. With original suspension chain. 8.4” tall.